Lunch: M-F 11 A.M. - 3 P.M.
Dinner: M-TH 5 P.M. - 10 P.M.
Dinner: Fri - Sat. 5 P.M. - 11 P.M.
Dinner: Sun 5 P.M. - 9 P.M. Happy Hour: M-F 3 P.M. - 6 P.M. Valet is complementary. Plenty of parking garages and parking lots nearby. Street meter parking available as well. I had an exceptional experience here July 2018, everything was top notch. This experience was a bit disappointing by comparison, simply because the food seems to have changed since then. The rest was excellent, ambiance, service, noise level, bartenders were great for pre dinner cocktails. My issue with the food was that compared to when we dined here last year, and everything tasted fresh and light and flavorful, the food now was lacking in flavor that they seemed to try to make up by way way way over salting everything, from my caesar salad, to my ny strip steak, and even the au gratin potatoes were different. Maybe the chef has changed since last year? I was hoping for a glorious repeat and didn't experience that unfortunately. I would not drive all the way down town for this experience where as I would have for the prior food style. I would recommend for a fun place to have cocktails with a nice view, but not sure I'd recommend for dinner any longer. Amazing rooftop bar and dining. Great food and service. Anniversary celebration. Food was great and service was exceptional. Waygu spinalia and baked Alaska were incredible!!! Will definitely return at a future date. Great atmosphere, service and steaks! The whole experience was fantastic. The steak was one of the best steaks I’ve ever had. Everything I ate was fresh and delicious. Our server Shawna was knowledgeable and efficient. Every recommendation she made was spot on! It’s expensive but totally worth it for a fantastic experience. Really amazing. We will be back in the future. I do not have an unkind word about this fine establishment. U go here for the japenese A5 wagu steak. Fabulous. But everything else was so so. Oysters, caesar salad and dessert. Not great. I guess I would come back but skip the apps and dessert, not worth it. Horrible service. Night and day from the first time we dined at Chophouse. We ate on the rooftop deck and the service was horrible. Something was at issue with the wait staff but we couldn't get a straight answer - upon being seated we were told John would be our waiter...he never showed up so the lady that first greeted us took our order after commenting that she'd go ahead and get drinks started. Partially into the meal another waiter "took over" promising we'd be taken care of and they "double team" to make sure of it. Guy talked way too much and promised the moon to us and every table upstairs. Unfortunately, he proceeded to not be timely at any point - simple things like waiting over 20-25 minutes after they brought us a to go box before asking if we wanted coffee/dessert. It was like that through the whole meal. Food was okay - medium rare steak more on the rare side. Same with lamb chops. "Creme Brulee Cinnamon Roll" was the worst dessert I've ever eaten at a nice place. Obnoxiously huge roll with the middle cut out and what seemed like about 6 teaspoons of creme brulee. Just a bad experience and really disappointing because the first meal at Chophouse a year ago was excellent. New management? Probably won't eat here again and it's really too bad because the rooftop is nice. A very elegant and eclectic ambiance, with a comforting atmosphere. The service was great, and they seemed to know the menu well. Overall, each dish I had was missing something, mainly flavor. Although sometimes less is more when it comes to flavoring on steaks, I think there was too much emphasis on their charcoal searing and not enough on the simplicity. I was a disappointed with the quality of the food in comparison to the cost. Went for our anniversary and loved every bite. While you wouldn't expect much difference steakhouse to steakhouse, but Cowford was a step above. The food was priced fairly for the quality, but I would not call anything on the menu a value. What you get here is an incredible dining experience. 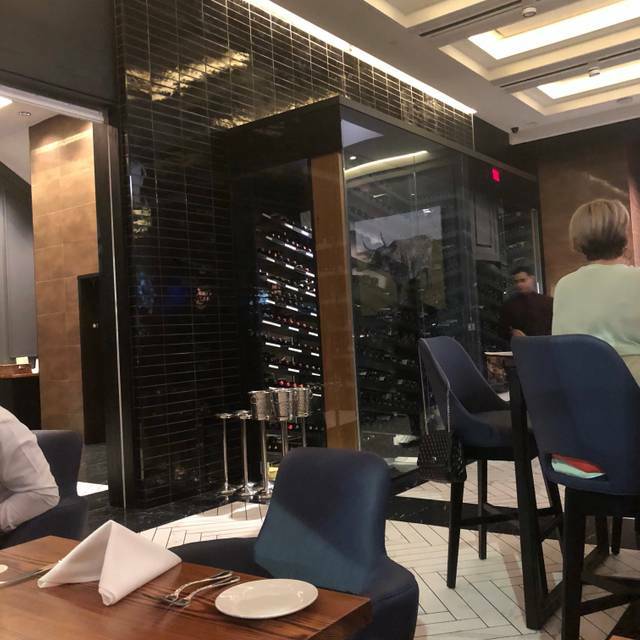 The re-design of the building is incredible, I felt the decor was nice but the large cow paintings brought down the level of sophistication to more of a casual dining experience than the high end one the prices suggest. 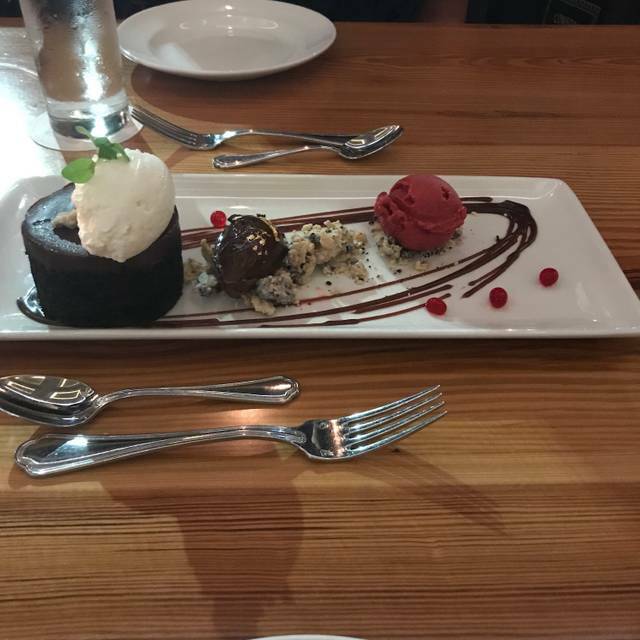 While that is a minor quip, the food was spectacular, the steaks were top quality, the sides were perfect, and the deserts were good but compared to the rest of the meal I'd call them an opportunity to improve. We went on a night where the roof top was rented out for a private event, that was particularly disappointing as we had wanted to enjoy the evening and relax at the bar after, but weren't able to. While Cowford won't be a regular staple for us, the next time we have a special event or I know of someone having one, I will be recommending for certain. Outstanding, as usual. 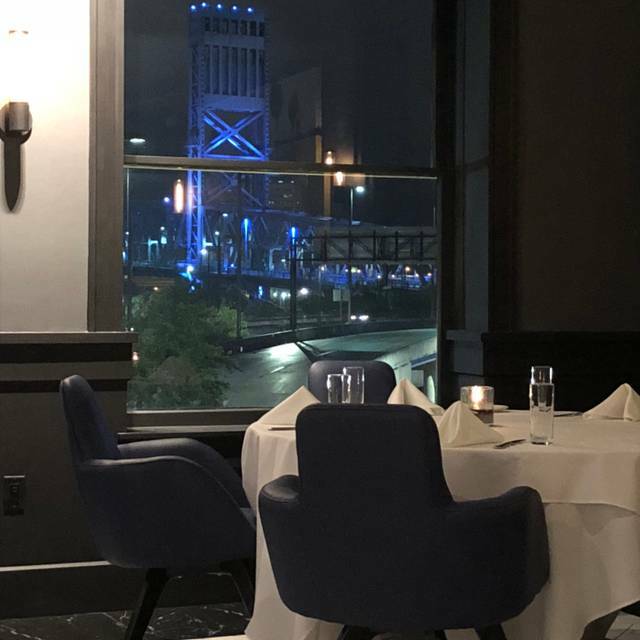 What a great addition to the Downtown Jacksonville dining opportunities the Cowford Chophouse has been. Great food and drinks. Excellent atmosphere. Service was a little slow, but it was superb and well worth the wait! Overal, a great experience!!! Some of the best service we have ever had! Wonderful meal - outstanding! It was absolutely amazing. We visited celebrating our anniversary and were treated extra special. 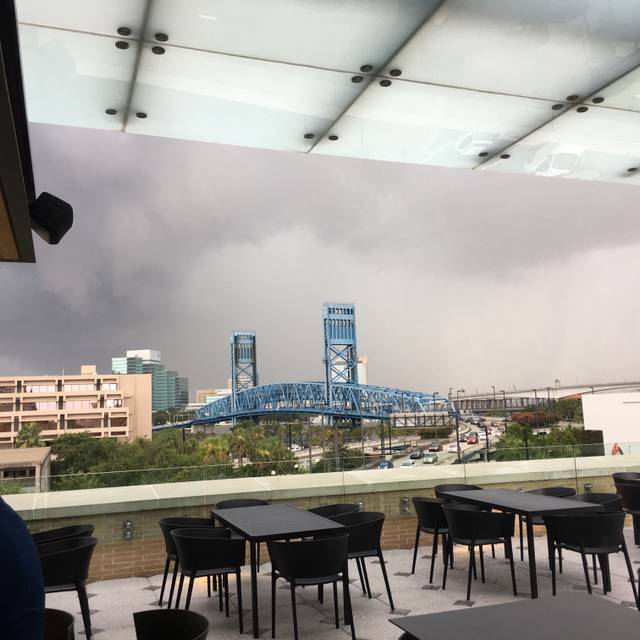 Great service, great food, we will definitely visit again when we visit Jacksonville! Everything was great and I would definitely back again! Excellent quality and taste in every portion of the meal. Frank, our server, was very attentive to our needs and his personality and friendliness made a very good dinner exceptional. The atmosphere was not as intimate on the first level as we would have liked. The table was broad and created a distance between us that limited our togetherness. The flavor of the steaks was wonderful and maintained it’s tastiness throughout the meal. Overall, a tremendous experience. We will definitely be back. Cowford definitely lived up to the hype. 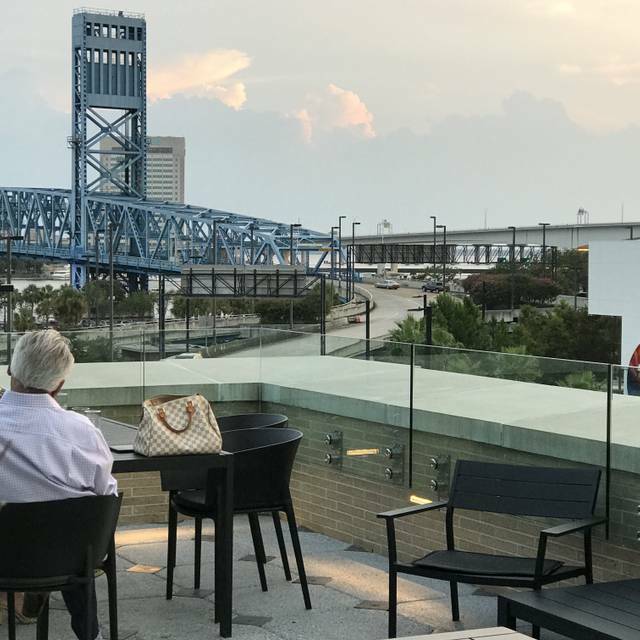 The elegance and sophistication of the space takes Jacksonville dining to the next level. 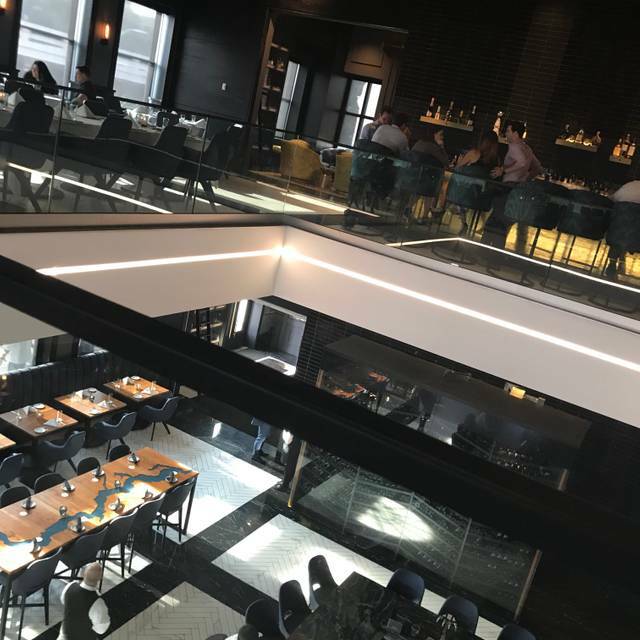 The hosting staff accommodated my request for a table upstairs with a view, even on a Friday night, which made the experience that much better. The service was exactly what I would expected from a restaurant of this caliber. Tables on the first floor along the long wall were way too close together. I could hear my neighbors to either side much better than my companion across from me. Art and other decor was cool. Service was excellent. 24 oz bone-in ribeye=B. The ribeyes from Costco taste better. Mule cocktail, French onion soup, heirloom tomato salad, mac n cheese, and cinnamon roll brulee all A+. Asparagus=C. Would recommend, but steaks (the main draw) were disappointing. Nicely furnished, good service, good food , but way over-priced. When meals are brought to the table by one extra waiter than there are people at the table ( 2 diners, 3 waiters.....4 diners, 5 waiters), you know the service will be excellent. Filet was cooked to perfection and delectable. Au gratin potatoes were the best we ever had anywhere. Even the blue cheese olives in the Dirty Cow Martini was delicious. Could have eaten a martini glass full of them. We can't wait to go again, and enjoy the roof top bar for awhile before dinner. Loved the upstairs table for 6 at the window! The hostess was great. She was very pleasant and happy to share some details about the restaurant. The waitress did her job well, along with all the others helping her. 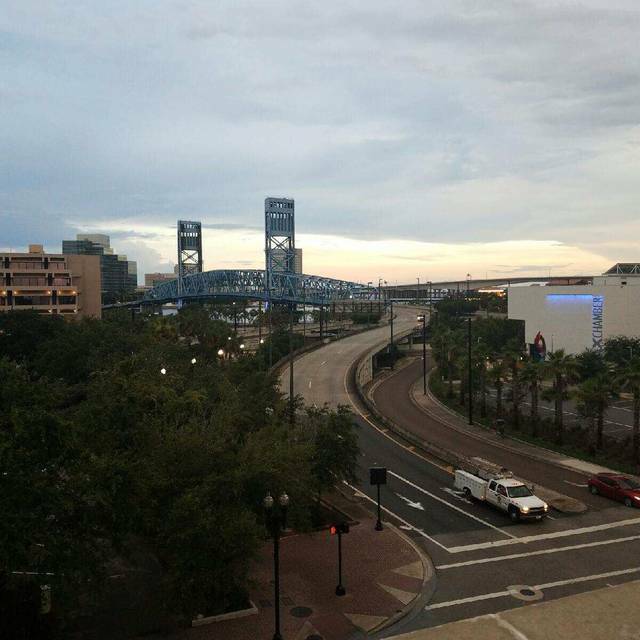 The atmosphere is cool and much needed in Jacksonville. Hopefully others will take their lead. My ribeye was good but not great. My wife’s filet was excellent. I’ll probably go for the filet next time. We will definitely be back again. The Cowford chophouse was an excellent place for dining! Service was fabulous. Everybody’s meal was brought out all at the same time each by an individual waiter. We were attending a show around the corner and the waitress suggested how many entrées and sides we should have to make sure we got to our destination on time. It’s so nice to go to a restaurant where The customer is the main concern. What a joy! One word--extraordinary! Go here, don't hesitate. It's one of the best. This is a lovely place to have lunch or dinner. The food is good but pricey and the service is excellent but very slow. Steaks could not have been better. Wait staff could not have been more knowledgeable and professional. Wow! A5 wagyu beef! Amazing! Great food great service,I really enjoyed my dinner from the appetizer to dessert!!!!!!!! I had the duck breast and it was absolutely amazing! Each bite was so tender and full of so much flavor, I was contemplating ordering a second plate. Our waitress was very informative and knowledgeable of the meal specials and facility history. This was our first visit to the restaurant and it was a great experience. We are already planning our next visit! 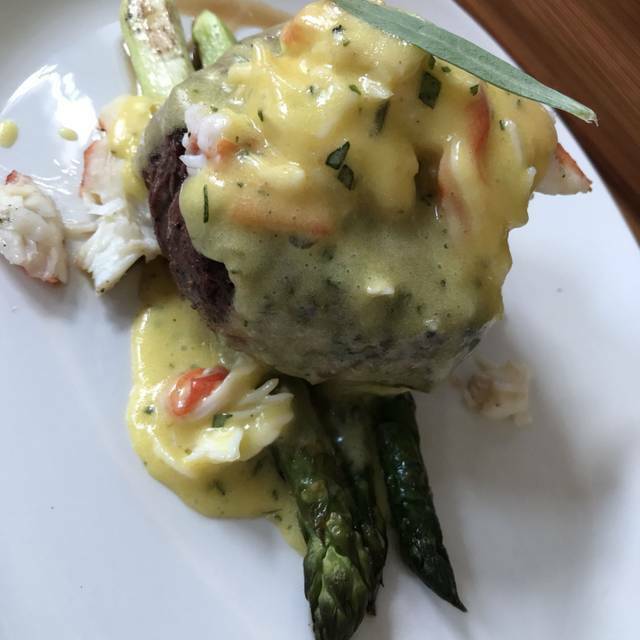 We definitely would recommend Cowford Chophouse. The service was excellent and it’s a beautifully renovated location. The hanger steak was excellent but I found the French onion to be underwhelming. Potatoes Au Gratin were also excellent but the potions are huge so be aware. It was a little strange that people are inside a steakhouse this nice and expensive wearing sandals, shorts and t shirts. First time visiting. The rooftop bar is a great place to have a cocktail before dinner. 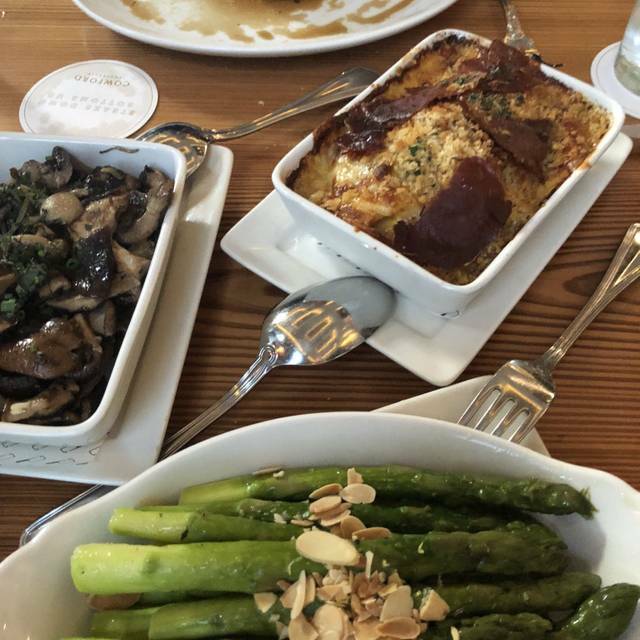 The service was fantastic and the food was excellent. Dinner was delicious and the service was excellent. It was perfect for our anniversary celebration.